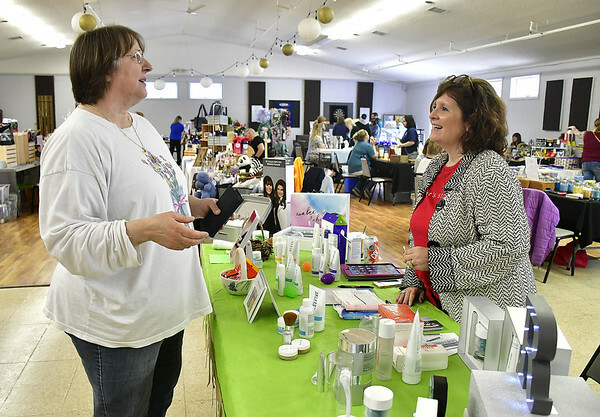 BRISTOL - Handmade jewelry and handbags, paintings of beaches and wildlife, and beautifully decorated floral baskets were on display and on sale at the Swedish Social Club Saturday. It was the club’s first craft fair and they were excited to show the community all they have to offer. The club gave out free raffle tickets and sold tickets to a 50/50 raffle. They served burgers, hot dogs and apple turnovers to attendees. Thirty-two vendors filled the hall. 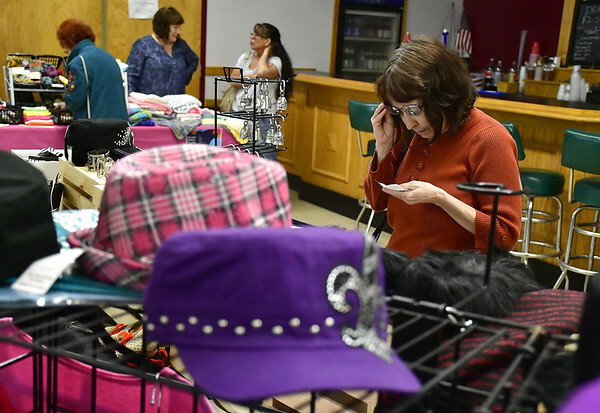 “It’s our first time trying a craft fair and we hope to make it an annual event,” said Brian Murphy, president of the Swedish Social Club. The aim was to let people know about the club and the club’s hall, which is available for rent, Murphy said. The craft fair is a great community event, he added. Saucier said that the club does many things benefiting the club and other organizations. They’ve had a toy drive, pig roast, fundraiser for muscular dystrophy, bike runs and clam bakes. Saucier added that soon the club will be bringing in a band on Fridays so people can come in and dance. “We try to help out any way we can,” Saucier said. And today, he said, he hopes people enjoy themselves and that the vendors are able to make some money. Part of the draw of the fair for vendors was not only to make money, but also to share their passions. “People seem to have a nice time looking at the paintings,” said Patrick Marino. Marino picked up painting five years ago as something to do in his retirement and on snowy days. In those five years, he’s sold between 450 and 500 paintings. “Everyone likes to look at pretty things,” said his wife, Jane Marino. Patrick Marino creates oil paintings of landscapes, seascapes, florals and animals. He said he can spend hours painting and not even notice time passing. “You get lost in it. It’s like a whole new world,” he added. Christine Yuschak sold crocheted blankets, bottle koozies, bags, headbands, cat toys and more at her table. “It’s my passion. I love making bags and selling them and making people happy with my bags,” said Lisa Reck, owner of Lisa Maree Designs. She makes handmade bags right here in Bristol. 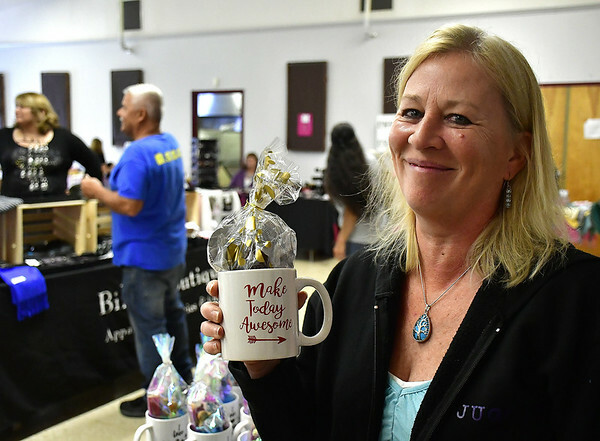 “I have a good time meeting new people,” said Lisa Pelletier, who was selling blankets and coffee mugs inscribed with encouraging or funny sayings. Inside the coffee mugs were cat treats, dog treats and hot chocolate. Many were happy with how the fair turned out. Provenzano has been making floral baskets for cemeteries for about two years. “It’s nice. It’s fun. 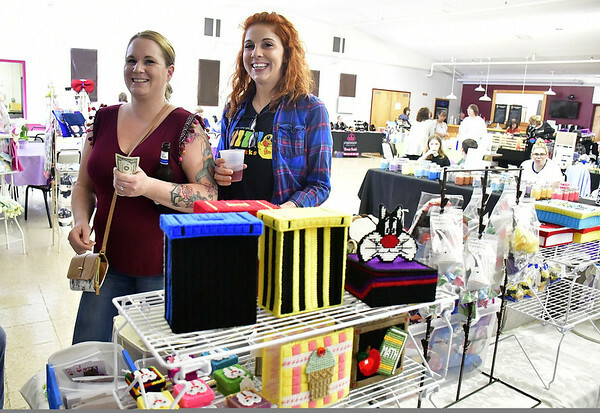 There’s lots of people and a variety of vendors,” said Stephanie Saucier of Scentsy, which sells wax warmers and scented wax. “I’m really impressed with this first-time venue. They really brought in a crowd. 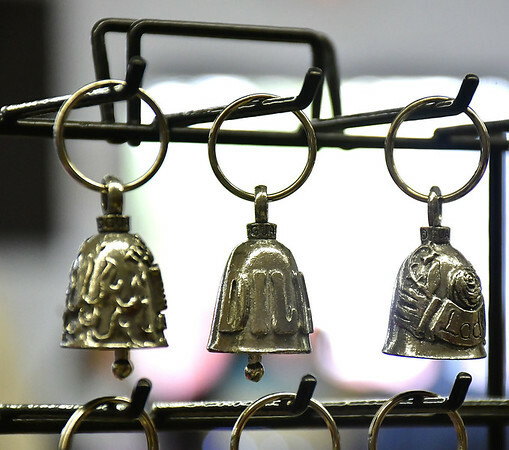 They did a good job organizing,” said Barbara Hines of Bangles and Beads, who has been making handmade jewelry for eight years. The Swedish Social Club’s next event is its grand bar opening on Friday, April 26, at 6:30 p.m. The club is located at 38 Barlow St. in Bristol. For more information and future events, go to swedishsocialclub.com. Posted in The Bristol Press, Bristol on Sunday, 14 April 2019 21:01. Updated: Sunday, 14 April 2019 21:04.